When young adventurer Laios and his company are attacked and soundly thrashed by a dragon deep in a dungeon, the party loses all its money and provisions. They’re eager to get right back to it, but there’s just one problem: if they set out with no food or coin to speak of, they’re sure to eat it on the way! 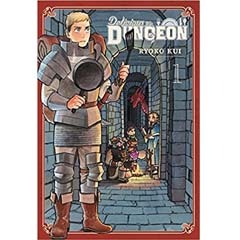 But Laios comes up with a brilliant idea: “Let’s eat the monsters!” Slimes, basilisks, mimics, and even dragons…none are safe from the appetites of these dungeon-crawling gourmands!